Which are the Safest Convertible Car Seats in 2017? 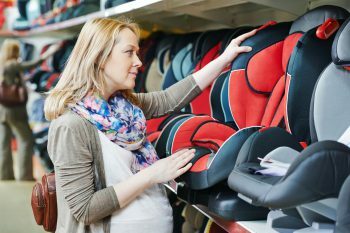 Convenience features like cup holders, no re-thread harnesses, washable seat covers, and funky fabric color schemes are all well and good, but when it really comes down to it, the most important thing that parents want to discover before making a purchasing decision is which seats are safer than others. Most parents would happily forgo many of the convenience features if only there was a surefire way to find out which convertible car seat on the market is the absolute safest. Unfortunately, there is no such thing as the safest convertible car seats – not in 2017, and not at any time before that. 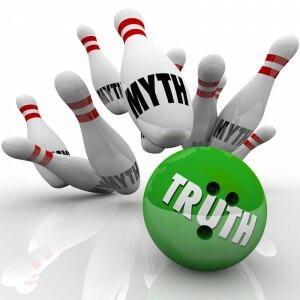 Any website that tells you otherwise is deceiving you, whether deliberately or otherwise. Sure, there are seats that come fitted with extra safety features and the rule that “you get what you pay for” generally (but not always) applies to car seats as it does to most other product purchases that you will make. But, one thing that you need to understand when you begin to search for the best seat for your child is that there is no such thing as the absolute safest convertible car seat. A “safe” convertible car seat is only as safe if it is installed properly! Before you get too depressed about what I have just said, don’t give up hope as all is not lost. Instead, take a deep breath and keep on reading to find out how best to approach this issue. Once you accept that your attempt to find the holy grail (league table of car seats) is hopeless, you will be better able to focus on the simple steps that you actually can take to try to find a safe car seat for your child. The good news is that, whilst there is no simple league table listing seats in order of safety, there are some simple steps that you can take to improve your chances of finding a convertible car seats that is more likely to be one of the safest than the other possible options. The first thing to bear in mind is that every convertible car seat that remains on the US market has been tested thoroughly and must have passed all relevant Federal Safety Tests, including strict crash testing. So, all seats on the market are technically considered to be “safe” if they are used according to the manufacturer’s instructions. The Federal Tests simply establish a baseline safety level and say nothing about how each of the available seats compares with the others in terms of safety. The tests are “pass or fail” rather than “A+ to F” grades. Although the National Highway Traffic Safety Administration (NHTSA) does NOT carry out the sort of tests that enable anyone to rank all convertible car seats in order of safety, it does carry out pretty extensive “Ease of Use” evaluations on the seats and publishes the data to help parents. Many people often incorrectly consider the NHTSA “Ease of Use” tests to be comprehensive “safety” tests, but they are NOT full safety tests. The NHTSA makes it clear on its own website that these “Ease of Use” tests should not be mis-used in this way. They are, however, a useful starting point when considering which convertible car seat to buy. So, what are the NHTSA “Ease of Use” Ratings? Research suggests that about 75% of all car seats are incorrectly installed – this is one of the biggest car seat safety risks to a child and there is little point in paying $300 for a top-of-the-range seat if you can’t work out how to fit is properly. Since correct car seat installation is such an important factor in ensuring that it is safe, it is perfectly reasonable to look at these ratings because they are specifically measuring the ease with which the seat can be use safely. This is why the NHTSA “Ease of Use” ratings are such a useful starting point on your quest for the safest convertible car seat for your child. Each of the 4 “ease of use” factors listed above are given a “star rating” out of 5 and then an overall star rating at the end that takes account these individual factors. The only series of convertible car seats that can currently boast a 5-Star Overall Ease of Use Rating are the Britax ClickTight Convertible Car Seats. One of the best things about the Britax ClickTight seats is that they come fitted with a unique ClickTight Installation System that makes belt-fitting the seats pretty much fool-proof … and foolproof installation means there is a much higher chance of the car seat being safe. Edit: You can now buy all 3 models of the Britax ClickTight seat with anti-rebound bars. Aside from this simple belt installation system, the Britax ClickTight seats also come fitted with high end safety and convenience features. Most (if not all) convertible car seats can be installed either rear-facing or forwards-facing, depending upon the height and weight of your child. The important thing to understand is that the decision to install the seat in the rear-facing or forwards-facing position is not simply a matter of personal preference. It is, in fact, an important issue of child safety and the simple fact of the matter is that rear-facing is much safer than forwards-facing. The American Academy of Pediatrics advises that children should remain in rear facing car seats until they are at least 2 years, and preferably as long as possible. These guidelines are based upon scientific studies that compared the relative safety of rear-facing car seats and forwards-facing car seats. In short, the US research (that is supported by previous Swedish research) shows that kids aged 1 and above are more than 5 times safer in rear facing seats. Sadly, road traffic collisions remain the biggest cause of deaths amongst US children aged 1 and above. Extended rear facing is just one very simple and effective way that you can keep your child as safe as possible on the road. I have written an article that is dedicated to the subject of rear-facing convertible car seats. Within that article, I identify those convertible car seats that enjoy the highest rear-facing weight and height limits. The Britax ClickTight seats are not covered within my rear-facing car seat article because they do not have the highest weight limits on the market. They can be used up to 40 pounds and, since they have generous height limits, even a child on the 75th weight gentile ought to be able to use them until they reach about 4 years of age. So, they remain a good option despite not having the highest rear-facing weight limits, especially if your child is not likely to be significantly heavier than average. Read my Best Rear-Facing Convertible Car Seats Article here. There is no single convertible car seat that has been shown in tests to be the safest product on the market today. They have all passed the relevant Federal Safety Tests and there is no universally accepted league table of convertible car seats ranking them in order of merit. I hope that the information contained within this post will help you to avoid wasting your time endlessly searching for those illusive (and non-existent) car seat safety tables and instead help you to focus on the 2 key factors that have been shown by evidence to have a directly impact upon safety; namely, ease of use and rear-facing. Good Luck and I would love to hear in the comments section below which convertible car seat you chose for your child and what feature(s) clinched the deal!